Home » My Practice » Josef Karl Eichinger M.D. Josef K. Eichinger, M.D., is a board-certified orthopaedic surgeon with a subspecialty focus on shoulder and elbow surgery. He is an professor of orthopaedic surgery at the Medical University of South Carolina in Charleston. He was formerly the chief of orthopaedic surgery at Madigan Army Medical Center in Tacoma, Washington, and at Womack Army Medical Center at Fort Bragg, North Carolina. He holds the rank of lieutenant colonel in the United States Army Reserves and has deployed to Afghanistan with the 541st Forward Surgical Team. Dr. Eichinger received his undergraduate degree from the United States Military Academy at West Point and his M.D. degree from Temple University School of Medicine in Philadelphia, Pennsylvania. He completed his orthopaedic surgery residency at Madigan Army Medical Center and the Harvard Shoulder and Elbow Surgery Fellowship in Boston. Dr. Eichinger is a fellow in the American Academy of Orthopaedic Surgeons. 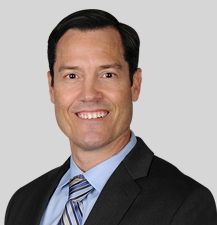 He is on the editorial board for the Journal of Arthroscopy and Related Research and the Journal of Bone and Joint Surgery for continuing medical education and is a reviewer for the Journal of Shoulder and Elbow Surgery, Orthopedics, Journal of the American Academy of Orthopaedic Surgeons, and Military Medicine. Dr. Eichinger has presented research and lectured at numerous national meetings. He has also served as the Shoulder Chairman for the 2016 and 2017 Fall Courses and will serve as the Shoulder Chairman for the 2018 Annual Meeting for the Arthroscopy Association of North America. He has published over 49 peer-reviewed scientific articles and book chapters in such journals as the Journal of Bone and Joint Surgery, Journal of Arthroscopy and Related Research, Journal of Shoulder and Elbow Surgery, Journal of the American Academy of Orthopaedic Surgeons, and Military Medicine. Dr. Eichinger is active in research and is the recipient of several grants regarding shoulder arthroplasty outcomes, complex shoulder instability treatment and clavicle fracture treatment. 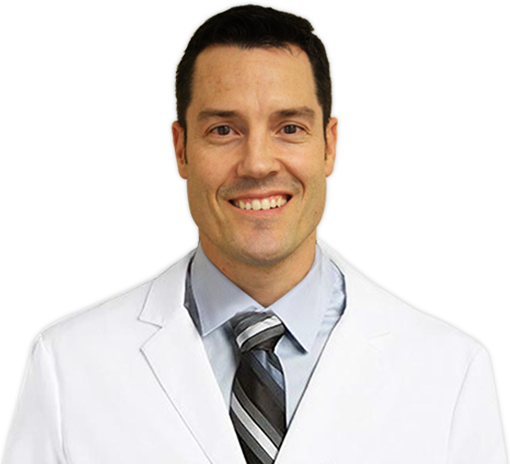 Dr. Eichinger is a team physician for the Charleston Riverdogs (New York Yankees) Professional baseball team. He has experience treating and caring not only for professional athletes but also elite special operations soldiers during his time in the military. Dr. Eichinger’s special areas of interests include sports medicine and arthroscopic, minimally invasive surgical repair for overhead and throwing athletes including baseball, tennis, swimming and golf. He has special expertise and training in complex shoulder instability including bone loss for contact athletes in basketball, football, boxing, rugby, and mixed martial arts. He also has expertise in the treatment of failed prior shoulder and elbow surgery as well as complex clavicle (collarbone), AC joint separations, shoulder (proximal humerus), and elbow fractures along with total joint replacement surgery of the shoulder and elbow. Dr. Eichinger has a passion for research & has published over 56 peer-reviewed scientific articles & book chapters. He is also on the editorial board member for the Journal of Arthroscopy & Related Research. Mentor: Shawn O’Driscoll M.D., PhD. Program Directors: JP Warner M.D. & Larry Higgins M.D. 2018 Winner of 21st Annual Frank B. Smith Memorial Award for Outstanding Resident Research. 93RD Annual North Pacific Orthopedic Society (NPOS) Meeting. Sunriver, OR. 2018: Intraoperative clavicle fracture characterization and radiographic outcomes following operative fixation. 2017 Runner-Up, 2017 Arthroscopy Journal Clinical Research Award Winner: Accuracy and Reliability of a Simple Calculation for Measuring Glenoid Bone Loss on 3-Dimensional Computed Tomography Scans. 2016 Best Presentation, 1st Prize, Resident Research Symposium. New England Orthopaedic Society (NEOS) Annual Meeting. Woodstock, Vermont, June 2016: Acute versus delayed MRI imaging and associated pathology in traumatic shoulder dislocations. 2016 EOA Resident/Fellow Travel Grant Winner. Eastern Orthopaedic Association 47th Annual Meeting, New Orleans, Louisiana, October, 2016: Critical Findings On MR-Arthrogram In Posterior Shoulder Instability. 2015 Best Clincal Research Award Winner at North Pacific Orthopaedic Society (NPOS) Annual Meeting, Sunriver Resort, Sunriver, Oregon, September 2015: Evaluation of MRA Findings of Posterior Humeral Head Subluxation, Glenoid Version and Enlarged Capsular Volume on a Case Controlled Cohort of Patients Undergoing Posterior Labral Repair. 2018 Invited Lecture, AANA Sports Medicine and Arthroscopy Fellows Course: Arthroscopic techniques for revision instability. Chicago, IL, June 22-24, 2018. 2018 Invited Lecture, AANA Sports Medicine and Arthroscopy Fellows Course: Arthroscopic and Open Management of Glenohumeral Chondral Defects and Arthritis. Chicago, IL, June 22-24, 2018. 2018 Moderator, Poster Tour for Best Posters, Practice Management Category, AAOS Annual Meeting New Orleans, LA, March 5-10, 2018. 2018 Invited Lecture, Instructional Course Lecture (ICL): Shoulder Instability, An American Perspective, 2018 AAOS Annual Meeting New Orleans, LA, March 5-10, 2018. 2018 Moderator, Scientific Paper Session: Practice Management/Rehabilitation II: Bundled Payments, 2018 AAOS Annual Meeting, New Orleans, LA, March 5-10, 2018. 19th Annual AAOS/AOSSM/AANA Sports Medicine Course, Park City, UT, February 1-3, 2018. 2017 Co-Chairman, Shoulder Course, 36th AANA Fall Course, Palm Springs CA, November 10-12, 2017. 2017 Invited Lecture and Faculty, AC Joint Stabilization, How To Do This Acutely? Surgical Skills Course, The Cutting Edge 2017: Arthroscopic and Open Shoulder Techniques in the Athlete’s Shoulder, AAOS Orthopaedic Learning Center, Rosemont, Illinois, October 13-14, 2017. 2017 Moderator, 2017 AAOS Annual Meeting Scientific Paper Session: Practice Management II; Quality Improvement, San Diego, CA, March 1-5, 2017. 2017 Moderator, 2017 AAOS Best Posters Tour - Practice Management, San Diego, CA, March 1-5, 2017. 2017 Invited Lecture, 30th Annual Southeaster Fracture Symposium: Proximal Humerus Fractures- Arthroplasty. Greenville, SC, January 26-28, 2017. 2017 Course Director MUSC 1st Annual Overhead Thowers Community Education Event. How to Avoid Injuries in the Throwing Athlete. Charleston, SC, February 4, 2017. 2016 Co-Chairman, Shoulder Course, 35th AANA Fall Course, Las Vegas, NV, November 10-12, 2016. 2016 Invited Lecture, Glenoid Dysplasia, It’s More Common Thank We Think, 35th AANA Fall Course, Las Vegas, NV, November 10-12, 2016. 2016 Invited Lecture, Re-Thinking Tendon Transfers, 35th AANA Fall Course, Las Vegas, NV, November 10-12, 2016. 2016 Invited Lecture, AC Joint Reconstruction, How I Do It, 2016 5th Annual ICJR (International Congress Joint Reconstruction) Shoulder Course: Sports Medicine, Trauma, Arthroplasty, Las Vegas, NV, November 3-5, 2016. 2016 Invited Lecture, Posterior Shoulder Instability, 2016 5th Annual ICJR (International Congress Joint Reconstruction) Shoulder Course: Sports Medicine, Trauma, Arthroplasty, Las Vegas, NV, November 3-5, 2016. 2016 Invited Lecture, Knotless vs Knotted Anchors, 2016 5th Annual ICJR (International Congress Joint Reconstruction) Shoulder Course: Sports Medicine, Trauma, Arthroplasty, Las Vegas, NV, November 3-5, 2016. 2016 Invited Lecture, Pre-Operative Assessment of Bone Loss in Shoulder Instability, 2016 5th Annual ICJR (International Congress Joint Reconstruction) Shoulder Course: Sports Medicine, Trauma, Arthroplasty, Las Vegas, NV, November 3-5, 2016. 2015 Moderator, 2015 SOMOS 57th Annual Meeting Scientific Paper Session 4: Sports Upper Extremity, St. Petersburg, Florida, December 6-11, 2015. 2015 Moderator, 2015 SOMOS 57th Annual Meeting Scientific Paper Session: General Session 5: Sports Lower Extremity, St. Petersburg, Florida, December 6-11, 2015. 2015 Moderator, 2015 SOMOS 57th Annual Meeting Scientific Paper Session: Rapid Fire Sports D: Shoulder Arthroplasty and Instability, St. Petersburg, Florida, December 6-11, 2015. 2015 Moderator, 2015 AAOS Annual Meeting Scientific Paper Session: Practice Management/Rehabilitation I: Quality Improvement, Las Vegas, NV, March 24-28, 2015. 2015 Moderator, 2015 AAOS Annual Meeting Scientific Paper Session: Practice Management/Rehabilitation II: Health Policy Regulations, Las Vegas, NV, March 24-28, 2015. 2014 Associate Master Instructor for AANA Fundamentals in Arthroscopy-Resident Course, Rosemont, IL, December 11-14, 2014. Testing at Clemson completed 5-28-2018. Data & manuscript preparation ongoing. Full proposal submitted 5-4-18 and awaiting decision. Grassbaugh JG, Eichinger JK, Dukes C. Intraoperative Clavicle Fracture Characterization and Radiographic Outcomes After Operative Fixation, IRB Approved, In data collection since May 2014 Madigan Army Medical Center, Tacoma, WA. Currently enrolling patients. Eichinger JK, Friedman RJ. Intraoperative Clavicle Fracture Characterization and Radiographic Outcomes After Operative Fixation, IRB Approved, In data collection since October 2015, Medical University of South Carolina. Currently enrolling patients. Grassbaugh JG, Eichinger JK, Dannenbaum JH. Prospective radiographic versus MRI findings in AC separations: Evaluation of reliability of the Rockwood classification using bilateral clavicle radiographs, IRB Approved May 2015, Madigan Army Medical Center, Tacoma, WA. Currently enrolling patients. Jackson KL, Eichinger JK. Operative Repair of Midshaft Clavicle Fractures in Active Duty Military with a Second Generation Intramedullary Screw. IRB Protocol Approved Dec 2016, Womack Army Medical Center Ft. Bragg, NC. In data collection. Greenhouse AR, Asuma MP, Galvin JW, Li X, Friedman RJ, Marchant BG, Eichinger JK. Arthroscopic-assisted repair of a locked posterior glenohumeral fracture dislocation. Submitted to The American Journal of Orthopaedic Surgery, July 2017, accepted for publication. Barcel A, Eichinger JK, Friedman RJ. Scapular Notching. Accepted for publication, JAAOS, August 2017. Li X, Galvin JW, Eichinger JK. Current Concepts Review: The Relationship of Critical Shoulder Angle and Shoulder Pathology. J Bone Joint Surg Am, accepted for publication Dec 2017. Romeo, Brian Cole, Pascal Boileau. Goitein D, Gagné D, Papasavas P, Dallal R, Quebbemann R, Eichinger JK, Johnston D, Caushaj, P. Superior Mesenteric Artery Syndrome after Laparoscopic Roux-en-Y Gastric Bypass for Morbid Obesity. Obesity Surgery. Vol 14(7): 1008-1011, Aug 2004. Eichinger JK, Arrington ED, Kerr G, Molinari R. Bony Flexion-Distraction Injury of the Lower Lumbar Spine Treated with Instrumentation without Fusion and Early Implant Removal: A Method of Treatment to Preserve Lumbar Motion. Two-Year Follow Up of a Teenage Patient. J Spinal Disord Tech. Vol 20(1): 93-6; Feb 2007. Eichinger JK, Bluman EM, Sides S, Arrington ED. Surgical Management of Septic Arthritis of the Knee With a Coexistent Popliteal Cyst. Arthroscopy. Vol 25 (6): 696-700, June 2009. Eichinger JK, Herzog JP, Arrington ED. Analysis of the mechanical properties of locking plates with and without screw hole inserts. Orthopedics. Vol 34(1): 19, January 2011. Eichinger JK, Agochuckwu U, Franklin J, Arrington E , Bluman E, A New Reduction Technique for Bayoneted Wrist Fractures in Children: A Biomechanical Assessment and Four Year Clinical Evaluation. J Pediatr Orthop.2011 Oct-Nov; 31(7):e73-9. Eichinger JK. Beingessner D. Technical Trick:Intra-Operative Fabrication of Bone Tamps for Indirect Reduction of Depressed Articular Segments. 2011 Dec; 34 (12): 970-4. Eichinger JK, Bluman EM, Arrington ED. Penetrating Blast Injury to the Knee of a United States Soldier Treated with Allograft Mosaicplasty. Cartilage. 2011July; 2 (3) 307-311. Eichinger JK, McKenzie CS, DeVine JG. Evaluation of Pediatric Lower Extremity Fractures Treated with External Fixation: Outcomes In a Deployed Environment. Am J Orthop. 2012 Jan; 41(1): 15-9. Grassbaugh JA, Cole C, Wohlrab K, Eichinger JK. Surgical Technique Affects Outcomes in Acromioclavicular Reconstruction. J Surg Orthop Adv.2013; 22(1): 71-6. Eichinger JK, Parada SA. Forget the Beach Chair and Go Supine: Analysis of the Effectiveness of the Use of a Radiolucent Table for Shoulder Surgery. Techniques in Shoulder and Elbow Surgery. 2013;14(3):59-62. Li X, Eichinger JK, Higgins LD. Management of Failed Metal-Backed Glenoid Component in Patients with Bilateral Total Shoulder Arthroplasty. Int J Shoulder Surg.2013 Oct;7(4):143-8. Galvin J, Dannenbaum J, Grassbaugh J, Eichinger JK. Pseudarthrosis of the Clavicle. 2014; 37: 295, 349-350. Li X, Eichinger JK, Hartshorn T, Zhou H, Matzkin EG, Warner JP. A Comparison of the Lateral Decubitus and Beach-chair Positions for Shoulder Surgery: Advantages and Complications.J Am Acad Orthop Surg. 2015 Jan;23(1):18-28. Galvin J,Eichinger JK, Boykin RE, Szöllösy G, Lafosse L. Posterior Shoulder Instability Following Anatomic Total Shoulder Arthroplasty: A Case Report and Review of Management. Int J Shoulder Surg 2015;9:131-4. Galvin J, Romanowski J, Boykin R, Eichinger JK, Lafosse L. Neurovascular Compression After the Latarjet Procedure. 2015; 38: e1164-e1168. Galvin JW, Eichinger JK. Outcomes Following Closed Axillary Nerve Injury: A case report and Review of the Literature. Mil Med. 2016 Mar;181(3):e291-7. doi: 10.7205/MILMED-D-15-00205. PMID: 26926757. Zhou H, Orvets ND, Merlin G, Shaw J, Dines JS, Price MD, Eichinger JK, Li X. Total elbow arthroplasty in the United States: Evaluation of cost, patient demographics, and complication rates. Orthopedic Reviews. 2016 April;8(1): 43-46. Parada SA, Burton LE, Coats-Thomas MS, Daniels SD, Sinz NJ, Dumont GD, Eichinger JK, Higgins LD, Provencher MT, Warner JJP. Comparison of Glenoid Version and Posterior Humeral Subluxation in Patients with and without Posterior Shoulder Instability. 2016 Sep 3. pii: S0749-8063(16)30397-8. doi:10.1016/j.arthro.2016.06.023.6. Li, X,Cusano A, Eichinger JK. Eden Hybinette and Pectoralis Major Transfer for the Treatment of Recurrent Shoulder Instability with Anterior-Superior Escape due to Failed Latarjet and Chronic Subscapularis Insufficiency. A Case Report and Discussion of Biomechanical Rationale. 2016 Oct 13:1-6. doi: 10.3928/01477447-20161006-02. Li X, Cusano A, Yi PH, Sing D, Gagnier JJ, Eichinger JK,Jawa A, Bedi A Insurance Status Affects Postoperative Morbidity and Complication Rate after Shoulder Arthroplasty, J Shoulder Elbow Surg. 2017 Feb 10. pii: S1058-2746(17)30014-9. doi: 10.1016/j.jse.2016.12.071. Grassbaugh JG, Bean B, Greenhouse AR, Yu H, Arrington ED, Friedman RJ, Eichinger JK.Refuting the Lipstick Sign. J Shoulder Elbow Surg. 2017 Mar 27. pii: S1058-2746(17)30049-6. doi: 10.1016/j.jse.2017.01.009. [Epub ahead of print]. Veltre DR, Yakavonis M, Curry EJ, Cusano A, Parisien RL, Eichinger JK, Duncan SFM, Stein AB, Li X.Regional Variations of Medicare Physician Payments for Hand Surgery Procedures in the United States. Hand. 2017 Nov 1:1558944717734370. doi: 10.1177/1558944717734370. Galvin JW, Eichinger JK, Cotter EJ, Greenhouse AR, Parada SA, Waterman BR. Trends in Surgical Management of Anterior Shoulder Instability: Increased Utilization of Bone Augmentation Techniques†.Mil Med. 2018 Feb 6. doi: 10.1093/milmed/usx077. PMID: 29420773. Parada SA, Eichinger JK, Dumont GD, Parada CA, Greenhouse AR, Provencher MT, Higgins LD, Warner JJP.Accuracy and Reliability of a Simple Calculation for Measuring Glenoid Bone Loss on 3-Dimensional Computed Tomography Scans. 2018 Jan;34(1):84-92. doi: 10.1016/j.arthro.2017.07.032. Epub 2017 Oct 21.PMID:29066267. Synovec J, Shaw KA, Tucker CJ, Grassbaugh JA, Eichinger JK, Parada SA. Stress Radiographs for Evaluating Acromioclavicular Joint Separations in an Active-Duty Patient Population: What Have We Learned? Journal of Orthopaedics. 15(1):159-163. Parada SA, Shaw KA, Eichinger JK, Stadecker MJ, Higgins LD, Warner JJP. Survey of Shoulder Arthroplasty Surgeons’ Methods for Infection Avoidance of Propionibacterium. Journal of Orthopaedics2018;15(1):177-180. Palsis J, Simpson KN, DrPH, Matthews JH, Traven S, Eichinger JK, Friedman RJ. Current Trends in the Use of Shoulder Arthroplasty in the United States. 2018 Apr 16:1-8. doi: 10.3928/01477447-20180409-05. MOTION COLLABORATIVE. Daniel L. Christensen, MD; Jonathan F. Dickens, MD; Brett Freedman, MD Timothy Mauntel, PhD, ATC; Brett D. Owens, MD; Benjamin K. Potter, MD; Matthew Provencher, MD; John M. Tokish, MD; Brian R. Waterman, MD; Ivan Antosh, MD; Jaime Bellamy, DO; Kenneth L. Cameron, PhD, MPH, ATC; Karon F. Cook, PhD; Tobin T. Eckel, MD; Josef K. Eichinger, MD; EStephan J. Garcia, MD; Melvin D. Helgeson, MD; Patrick W. Joyner, MD; Daniel G. Kang, MD; Kelly G. Kilcoyne, MD; Chad A. Krueger, MD; Lance E. LeClere, MD; Xinning Li, MD; Kevin D. Martin, DO; Jeremy R. McCallum, MD; Lucas S. McDonald, MD, MPH&TM; Dionisio Ortiz III, MD; Mark P. Pallis, DO; Stephen A. Parada, MD; Jeanne C. Patzkowski, MD; Matthew A. Posner, MD; Jessica C. Rivera, MD; R. Judd Robins, MD; Nan Rothrock, PhD; Matthew R. Schmitz, MD; Mark Slabaugh, MD; Daniel J. Song, MD; Daniel J. Stinner, MD; Scott M. Tintle, MD; Christopher J. Tucker, MD; Robert A. Waltz, MD; Kevin Wilson, MD. Eichinger JK,and Bluman EM: Sesamoid disorders. In Essential Orthopaedics. Miller M, Elsevier, Philadelphia, July 2009. Hartshorn T, Eichinger JK, Shi L, and Warner JP: Arthroscopic Suprascapular Nerve Release. In Shoulder Arthroscopy: Principles and Practice. Ed. Giuseppe Milano, Springer, New York, 2013. In press. Li X, Eichinger JK: Clinically Relevant Elbow Anatomy and Surgical Approaches. In Elbow Collateral Ulnar Ligament Injury: A Guide to Diagnosis and Treatment. Dines J and Altchek D. Springer, New York, 2013. In press. Eichinger JK, Galvin J: Management of Complications after Total Shoulder Arthroplasty. In Current Reviews in Musculoskeletal Medicine(Vol 8, Issue 1). Ed. Ranawat C and Li X. Springer, New York, 2014. In press. Eichinger JK, Arrington E, Kerr G, Molinari R. Bony Flexion-Distraction Injury of the Lower Lumbar Spine Treated with Instrumentation without Fusion and Early Implant Removal: A Method of Treatment to Preserve Lumbar Motion. Two-Year Follow Up of a Teenage Patient. Madigan Research Day, Tacoma WA, April, 2005. Eichinger JK, Herzog J, Arrington E. Analysis of the mechanical properties of locking plates with and without screw hole inserts. A Biomechanical Study. Society of Military Orthopaedic Surgeons Annual Meeting, Honolulu, Hawaii, December 2006. Eichinger JK, Agochuckwu U, Franklin J, Arrington E, Bluman EM. A New Reduction Technique For Bayoneted Wrist Fractures In Children: A Biomechanical Assessment And Four Year Clinical Evaluation. Society of Military Orthopaedic Surgeons Annual Meeting, Honolulu, Hawaii, December 2009. Frost N,Eichinger JK, Song K. Coagulopathic Complications in Pediatric Spine Patients: A Case Series. Society of Military Orthopaedic Surgeons Annual Meeting, Honolulu, Hawaii, December 2009. Grassbaugh J, Eichinger JK, Cole C, Wohlrab K. Retrospective Review of 90 Acromioclavicular Reconstructions in an Active Duty Population.Society of Military Orthopaedic Surgeons Annual Meeting, Vail, Colorado, December 2010. Eichinger JK, Parada SA, Agochukwu U. Operative Repair of Midshaft Clavicle Fractures in Active Duty Military with a Second Generation Intramedullary Screw. Society of Military Orthopaedic Surgeons Annual Meeting, Vail, Colorado, December 2013. Wilson DJ, Scully WF, Min KS, Eichinger JK, Arrington ED. Biomechanical Analysis of Intramedullary vs. Superior Plate Fixation of Transverse Midshaft Clavicle Fractures.American Academy of Orthopaedic Surgeons Annual Meeting, New Orleans, Louisiana, March 2014. Parada SA, Burton LE, Coats-Thomas MS, Daniels SD, Sinz NJ, Dumont GD, Eichinger JK, Higgins LD, Provencher MT, Warner JJP Comparison of Glenoid Version and Posterior Humeral Subluxation in Patients with and without Posterior Shoulder Instability. Society of Military Orthopaedic Surgeons, Phoenix, AZ, Dec 2014. Eichinger JK, Galvin, Parada SA, Li X. Evaluation of MRA Findings of Posterior Humeral Head Subluxation, Glenoid Version and Enlarged Capsular Volume on a Case Controlled Cohort of Patients Undergoing Posterior Labral Repair. North Pacific Orthopaedic Society Annual Meeting, Sunriver Resort, Sunriver, Oregon, September 2015. Eichinger JK, Galvin, Parada SA, Li X. Evaluation of MRA Findings of Posterior Humeral Head Subluxation, Glenoid Version and Enlarged Capsular Volume on a Case Controlled Cohort of Patients Undergoing Posterior Labral Repair. Society of Military Orthopaedic Surgeons, St. Petersburg FL, Dec 2015. Eichinger JK, Miller LR, Hartshorn T, Li X, Higgins LD, Warner JP. Evaluation of Satisfaction and Durability after Hemiarthroplasty and Total Shoulder Arthroplasty in a Cohort of Patients under 50 years of Age: An analysis of Discordance of Patient Satisfaction and Implant Survival.Society of Military Orthopaedic Surgeons, St. Petersburg FL, Dec 2015. Li X, Cusano A, Yi PH, Sing D, Gagnier JJ, Eichinger JK, Jawa A, Bedi A. Insurance status affects postoperative morbidity and complication rate after shoulder arthroplasty. American Academy of Orthopaedic Surgeons (AAOS) Annual meeting. Orlando, FL. March 2016. Li X, Zhou H, Orvets ND, Merlin G, Shaw J, Dines JS, Price MD, Eichinger JK. Total elbow arthroplasty in the United States: Evaluation of cost, patient demographics, and complication rates. Podium presentation. American Academy of Orthopaedic Surgeons (AAOS) Annual meeting. Orlando, FL, March 2016. Eichinger JK, Galvin, Parada SA, Li X. Evaluation of MRA Findings of Posterior Humeral Head Subluxation, Glenoid Version and Enlarged Capsular Volume on a Case Controlled Cohort of Patients Undergoing Posterior Labral Repair. Podium presentation. Arthroscopy Association of North America (AANA) Annual Meeting. Boston, MA, April 2016. Parada SA, Shaw KA, Eichinger JK, Stadecker MJ, Higgins LD, Warner JJP. .Survey of Shoulder Arthroplasty Surgeons’ Methods for Avoidance of Propionibacterium acnes Infection. Society of Military Orthopaedic Surgeons. Tahoe, CA. Dec 2016. Gordon E, Grassbaugh JG, Bean B, Greenhouse AR, Yu H, Arrington ED, Friedman RJ, Eichinger JK.Arthroscopic Shoulder Examination Cannot Reliably Identify Symptomatic Tendinopathy of the Long Head of the Biceps. Southern Orthopaedic Association 34th Annual Meeting. Hilton Head, South Carolina, July 2017. Parada SA, Shaw KA, Eichinger JK, Stadecker MJ, Higgins LD, Warner JJP. Survey of Shoulder Arthroplasty Surgeons’ Methods for Avoidance of Propionibacterium acnes Infection. Orthopaedic Research Society. San Diego,CA. Mar 2017. Eichinger JK, Herzog J, Arrington E. Analysis of the mechanical properties of locking plates with and without screw hole inserts. A Biomechanical Study. Western Orthopaedic Association Annual Meeting, San Diego, California, July 2007. Eichinger JK, Song K. Coagulopathic Complications in Pediatric Spine Patients: A Case Series. 15th International Meeting on Advanced Spine Techniques (IMAST), Hong Kong, July 2008. Hills C, Eichinger JK, Sides S, Arrington E. Septic Popliteal Cyst of the Knee: A Case Report.Society of Military Orthpaedic Surgeons Annual Meeting, Las Vegas, Nevada, December 2008. Eichinger JK, Arrington E, Bluman EM.Penetrating Blast Injury to the Knee of a United States Soldier Treated with Allograft Mosaicplasty. Society of Military Orthopaedic Surgeons Annual Meeting, Honolulu, Hawaii, December 2009. Li X, Zhou H, Ma R, Eichinger JK, Hartshorn TA, Bedi A, Dines JS, Walch G. Reverse Total Shoulder Arthroplasty: A review of current concepts, surgical techniques, and clinical outcomes. Scientific ExhibitAmerican Academy of Orthopaedic Surgeons Annual Meeting, New Orleans, Louisiana, March 2014. American Academy of Orthopaedic Surgeons Annual Meeting, New Orleans, Louisiana, March 2014. Li X, Curry EJ, Kingston K, Cusano A, Eichinger JK, Dines JS, Bedi A, Matzkin EG. Scientific Exhibit: Management of Adhesive Capsulitis: Epidemiology, Diagnosis, Imaging, Treatment, and Outcomes.American Academy of Orthopaedic Surgeons Annual Meeting, Orlando, Florida, March 2016. Eichinger JK,Dukes C, Melton TJ, Slevin J, Grassbaugh, J. The Development of an Orthopaedic Ultrasound Injection and Procedure Service at a Tertiary Academic Medical Center: An analysis of Utilization, Captured Revenue, Patient Experience, and Academic Value. Poster Presentation. The American Orthopaedic Association (AOA) Annual Meeting, Seattle, Washington, June 2016. Veltre D, Yi PH, Cusano A, Sing D, Eichinger JK, Jawa A, Bedi A, Li X. Insurance status affects postoperative morbidity and complication rate after shoulder arthroplasty. Poster Presentation. Eastern Orthopaedic Association (EOA) 47th Annual Meeting. New Orleans, Louisiana, October, 2016. Veltre D, Yi PH, Cusano A, Sing D, Eichinger JK, Jawa A, Bedi A, Li X. Insurance status affects postoperative morbidity and complication rate after shoulder arthroplasty. Poster Presentation.ISTA (International Society for Technology in Arthroplasty) 29th Annual Congres, Boston, Massachusetts, October, 2016. Parada SA, Shaw KA, Eichinger JK, MD, Stadecker MJ, Higgins LD, Warner JP. Survey of Shoulder Arthroplasty Surgeons’ Methods for Infection Avoidance of Propionibacterium. Poster Presentation. Society of Military Orthopaedic Surgeons Annual Meeting, Squaw Valley, California, December 2016. Parisien RL, Trofa DP, Cronin PK Dashe J, Curry EJ, Eichinger JK, Li X. Statistical Fragility in Shoulder Research: Can P Values be Trusted? Poster Presentation. Orthopaedic Research Society (ORS) Annual Meeting. San Diego, California, March 2017. Shaw KA, Eichinger JK, Parada SA. In Vitro Effect of Vancomycin on the Viability of Articular Chondrocytes. Orthopaedic Research Society (ORS) Annual Meeting. San Diego, California, March 2017. Yin J, De Giacomo A, Curry EJ, Jawa A, Eichinger JK, Xinning Li Reverse Shoulder Arthroplasty Has Higher Perioperative Implant Complications than Total Shoulder Arthroplasty. Poster Presentation.Orthopaedic Research Society (ORS) Annual Meeting. San Diego, California, March 2017. Grassbaugh JG, Bean B, Greenhouse AR, Yu H, Arrington ED, Friedman RJ, Eichinger JK.Arthroscopic Shoulder Examination Cannot Reliably Identify Symptomatic Tendinopathy of the Long Head of the Biceps. American Orthopaedic Association Annual Meeting. Charlotte, North Carolina, June 2017. Orvets N, Parisien R, Chung JS, Murakami A, Eichinger JK,Li X. Acute versus delayed MRI imaging and associated pathology in traumatic shoulder dislocations. Poster Presentation. The American Orthopaedic Society for Sports Medicine (AOSSM) Annual Meeting. Toronto, Canada, July 2017. Parisien RL, Trofa DP, Cronin PK, Dashe J, Curry EJ, Eichinger JK, Li X. Statistical Fragility in Shoulder Research: Can P Values be Trusted Poster Presentation. Arthroscopy Association of North America (AANA) Annual Meeting. Denver, Colorado, April 2017. Curry E, Eichinger JK, Li X, Sing D, Yin J. The Effect of Racial Disparities on Early Shoulder Arthroplasty Outcomes: A Propensity Matched Analysis of 2,785 Patients. The American Orthopaedic Association (AOA) Annual Meeting, Boston, Massachusetts, June 2018. Synovec J, Shaw KA, Tucker CJ, Grassbaugh JG, Eichinger JK, Parada SA. Stress Radiographs for Evaluating Acromioclavicular Joint Separations in an Active-Duty Patient Population: What Have We Learned? Society of Military Orthopaedic Surgeons Annual Meeting, Scottsdale, AZ, Dec 2017. Rabinowitz JR, Barcel DA, Kelly T, Eichinger JK, Friedman RJ. Effect of Restoring Lateral Glenohumeral Offset on Patient Outcomes Following Anatomic Total Shoulder Arthroplasty Poster Presentation. American Academy of Orthopaedic Surgeons Annual Meeting. San Diego, CA (March 2017). Drayer NJ, Dukes CA, Dudevoir ML, Arrington ED, Grassbaugh JA, Eichinger JK. Intraoperative clavicle fracture characterization and radiographic outcomes following operative fixation. A Retrospective Review. Society of Military Orthopaedic Surgeons 59th Annual Meeting. Scottsdale, AZ, 2017.